Because your data deserves nothing less. If you’re like most small businesses using tape or disk backup and recovery solutions, you could be putting your business at risk every day. Tape and disk backups can take hours or even days to recover data and get you back up and running — and there’s no guarantee they’ll back up every piece of data in the first place. Why take the chance? 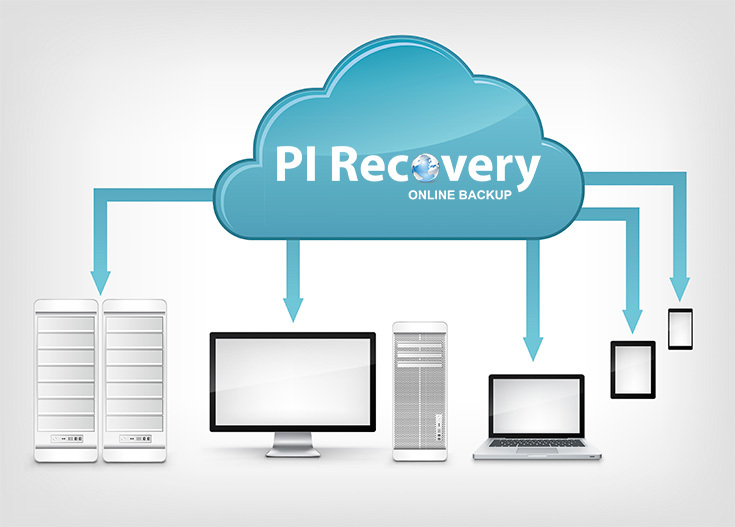 With a Cloud Backup Service from PI Recovery, You’ll Never Lose a File Again. Guaranteed. PI Recovery offers the most robust, reliable and easy-to-use online backup service for small businesses. Powered by KeepItSafe, a leading global online disaster-recovery and backup provider, PI Recovery’s Online Backup is the ideal full-service solution for businesses that want their data secured, backed up and always accessible within minutes — for a cost they can afford. PI Recovery is here to meet that need, to help you protect your business, to answer your questions day or night, and to support you at every step. With an automated cloud backup solution from PI Recovery, you know that your data will be there, immediately accessible from anywhere, when you need it most — whether you’ve lost a single file or suffered a total data loss due to a natural disaster. Start protecting your business and your future.